Jerry Glass serves as President of F&H Solutions Group. 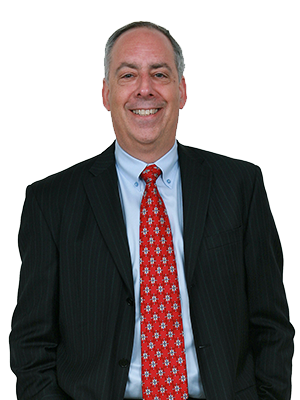 Jerry is a recognized human resources expert and labor relations expert. He has extensive experience as a negotiator, an analyst and an advisor, and he has served as chief negotiator for more than 100 different labor agreements in the airline, railroad and manufacturing industries. In addition, he has been the chief negotiator in the elevator construction industry’s last three rounds of multi-employer bargaining, representing that industry’s four largest companies. He deals with some of the most complex and difficult issues facing corporate America. These include defined benefit plans, retiree medical, lost time (sick leave, family and medical leave, disability and worker’s compensation), and employee health and welfare issues. Jerry is an expert negotiator who advises clients on human resources issues, negotiation strategies and contract proposals. He has extensive experience in conducting comparative studies of various industry agreements, including pay, work rules, practices and procedures, and benefit plans. In addition, Jerry provides industry analysis on employee relations, labor negotiations and industry settlements for investment banks, financial services institutions and other nonairline companies. He represents investors and corporations in mergers and acquisitions in several industries, focusing primarily on conducting due diligence on labor issues, negotiating consolidated collective bargaining agreements involving several companies and advising merged companies on overall labor and employee relations strategy. He also has extensive experience in corporate restructurings, having served as chief negotiator and labor advisor in numerous Chapter 11 reorganizations. He has testified in multiple Section 1113 cases and other Chapter 11 bankruptcy cases as an expert witness on management compensation and retention and on comparative pay, work rules and benefits. Jerry rejoined the consulting firm in October 2005, after serving as executive vice president and chief human resources officer at US Airways from April 2002 until September 2005. At US Airways, Jerry had overall responsibility for labor relations, human resources, policy and compliance, benefits, compensation, recruiting, and corporate learning and development. Prior to founding J. Glass & Associates, F&H Solutions Group’s predecessor, Jerry served from 1980 to 1989 with the Airline Industrial Relations Conference, the labor policy and information exchange organization of U.S. scheduled airlines, holding several senior positions, including vice president, secretary-treasurer and director, labor relations research. He reported to the chief executive officers and chief labor relations officers of 22 airlines. He was responsible for keeping members abreast of changes in labor agreements, contract negotiations and trends in collective bargaining. Jerry produced materials used by senior management and their staff to assess intra-industry developments in pay, benefits and working conditions. He also formerly served as assistant to the director of economic studies for the American Association of University Professors. In 1994, he co-founded the Labor Relations Association of Passenger Railroads (LRAPR). LRAPR is an information exchange organization comprised of the chief labor relations officers from major passenger railroads in the northeastern and midwestern parts of the United States. As part of his representation of passenger railroads, Jerry negotiates collective bargaining agreements and advises passenger railroads on various labor and employee relations matters. Jerry has been quoted in hundreds of newspaper and magazine articles and has been interviewed on numerous radio and television programs regarding labor- and human resources-related matters. He has appeared on television, including NewsHour with Jim Lehrer and FOX Business Network, and he has been quoted in the Associated Press, Bloomberg, Business Week, Chicago Tribune, Detroit Free Press, Minneapolis Star Tribune, MSNBC.com, Reuters, USA Today, The New York Times, Los Angeles Times and The Washington Post. In addition, he is a frequently requested speaker. His topics have included pay and labor markets in a global era, costing out labor contracts, and trends in health and welfare benefit plans. Jerry is a graduate of Boston University. He holds a master’s degree in public administration from The George Washington University. [Jerry was] truly inspiring and useful – I hope to use many of his lessons soon. Jerry gave us straightforward advice and eloquence. What a fascinating, useful hour. It was great to hear about his experiences and his insight to negotiating on the job and day-to-day life. Are You Really Documenting Performance? What can United CEO Munoz do to win over employees?